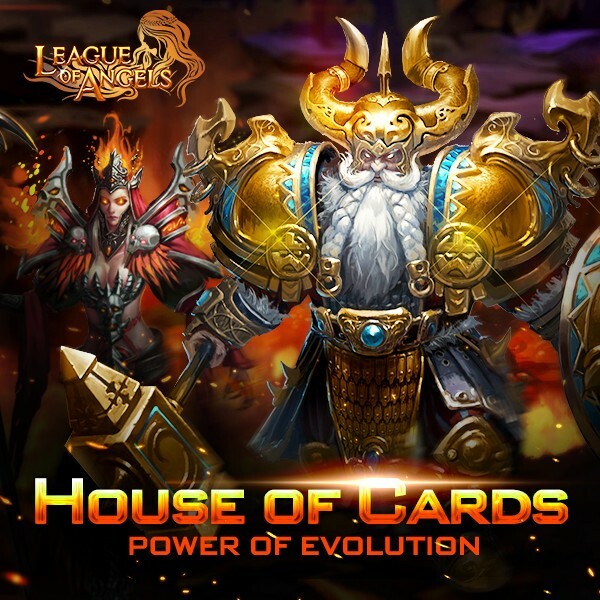 - You can swap the required cards for: Son of Odin(evolved from Mountain God), Mountain God, Blazing Hecate (evolved from Hecate), Hecate, Hercules (evolved from Earthshaker), Earthshaker, Dragon Queen (evolved from Dragon Empress), Dragon Empress, Kungfu Panda (evolved from Panda Nicky), Panda Nicky, Lunar Priestess, Poseidon, Dark Valkyrie, Divine Hunter, Thunder Lord (evolve from Arcane Spirit), Lvl.8 Dodge+Hit Gem, Lvl.8 PATK+Crit Gem, Lvl. 8 MATK +Crit Gem, and many more! Description: Single Recharge certain amount to get extra rewards like King of Heart, Ace of Heart, Card Lotto Voucher, Hero's Mark, and Joker (S). Description: Log in every day to win Card Lotto Voucher! Description: Play Tidal Pool every day to win extra Gem Enhancement Stone, Synth Scroll, and Card Lotto Vouchers! More exciting events are coming up through Feb 19 to Feb 22 (Server Time), check them out in the in-game Hot Events menu now!